Frequent pattern mining is an important data-mining problem with broad applications. Although there are many in-depth studies on efficient frequent pattern mining algorithms and constraint pushing techniques, the effectiveness of frequent pattern mining remains a serious concern: It is non-trivial and often tricky to specify appropriate support thresholds and proper constraints. In this paper, we propose a novel theme of preference-based frequent pattern mining. A user simply can specify a preference instead of setting detailed parameters in constraints. We identify the problem of preference-based frequent pattern mining and formulate the preferences for mining. We develop an efficient framework to mine frequent patterns with preferences. Interestingly, many preferences can be pushed deep into the mining by properly employing the existing efficient frequent pattern mining techniques. We conduct an extensive performance study to examine our method. The results indicate that preference-based frequent pattern mining is effective and efficient. 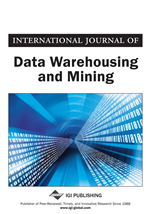 Furthermore, we extend our discussion from pattern-based frequent pattern mining to preference-based data mining in principle and draw a general framework.